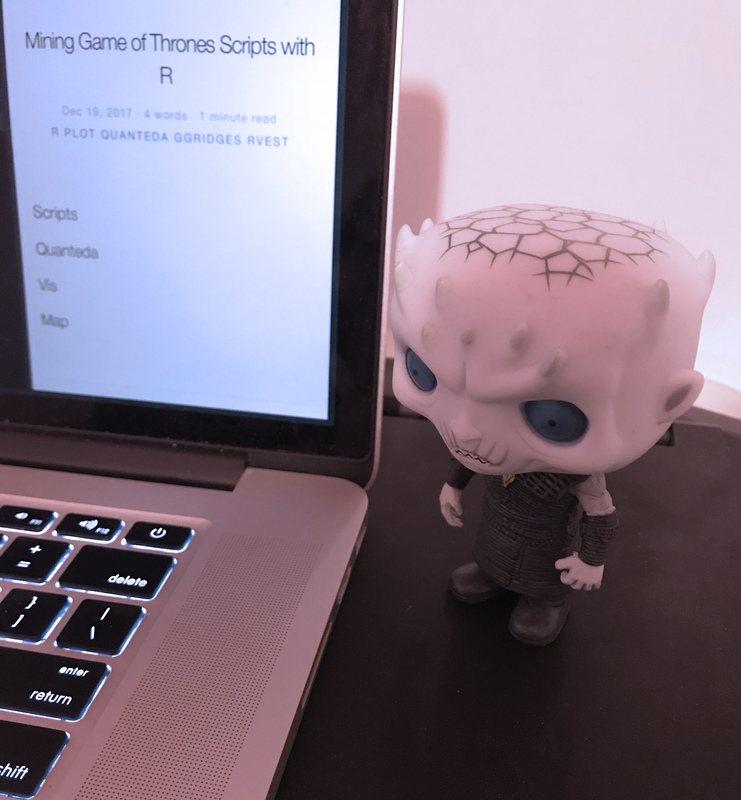 Mining Game of Thrones Scripts with R · Gokhan Ciflikli, Ph.D. I meant to showcase the quanteda package in my previous post on the Weinstein Effect but had to switch to tidytext at the last minute. Today I will make good on that promise. quanteda is developed by Ken Benoit and maintained by Kohei Watanabe - go LSE! On that note, the first 2018 LondonR meeting will be taking place at the LSE on January 16, so do drop by if you happen to be around. quanteda v1.0 will be unveiled there as well. He looks like he also hates the lack of native parallelism in R.
Mandatory spoilers tag, the rest of the post contains (surprise) spoilers (although only up until the end of the sixth season). I intend to keep to the organic three-step structure I have developed lately in my posts: obtaining data, showcasing a package, and visualising the end result. With GoT, there are two obvious avenues: full-text books or the show scripts. I decided to go with the show because I’m a filthy casual fan. A wise man once quipped: ‘Never forget what you are. The rest of the world will not. Wear it like armor, and it can never be used to hurt you.’ It’s probably a Chinese proverb. Nowadays it’s really easy to scrape interesting stuff online. rvest package is especially convenient to use. How it works is that you feed it a URL, it reads the html, you locate which html tag/class contains the information you want to extract, and finally it lets you clean up the text by removing the html bits. Let’s do an example. Mighty Google told me that this website has GoT scripts online. Cool, let’s fire up the very first episode. With any modern browser, you should be able to inspect the page to see the underlying code. If you hover where the text is located in inspection mode, you’ll find that it’s wrapped in ‘scrolling-script-container’ tags. This is not a general rule, so you’ll probably have to do this every time you try to scrape a new website. Those are the first sentences of the first ten GoT episodes - looks good! We won’t worry about the backslash on line 7 for now. One quirk of this website is that they seem to have used small case L for capital I (e.g. “l’snt” in line 2 above) in some places. You can easily fix those with a string replacement solution; I’ll let them be. Right, let’s generate some numbers to go along with all this text. metacorpus(got.corpus, "source") <- "No peaking!" I intentionally turned on the message option in the above chunk so that you can see quanteda is thoughtful enough to leave you with a single core for your other computational purposes. The Night King certainly approves. You could also pass a compress = TRUE argument while creating a corpus, which is basically a trade-off between memory space and computation speed. We don’t have that much text so it’s not a necessity for us, but it’s good to know that the option exists. ##   [s01e01, 383]            forever. And | winter | is coming. ##  [s01e01, 3180]               the King. | Winter | is coming. ##  [s01e03, 1764]              our words. | Winter | is coming. ##  [s01e10, 4256]               Wall! And | winter | is coming! ##  [s02e03, 1095]           of summer and | winter | is coming. ##  [s03e03, 5029]           from home and | winter | is coming. ##   [s03e04, 196]           from home and | winter | is coming. ##  [s03e04, 3336]                 house." | Winter | is coming! ##  [s03e04, 4860]         make it through | winter | ? Enough! ##   [s04e10, 474]          both know that | winter | is coming. ##  [s05e03, 2723] prisoners indefinitely. | Winter | is coming. ##  [s05e05, 1496]                you. But | winter | is coming. ##  [s05e07, 1305]                     --- | Winter | is coming. ##  [s05e07, 1342]         many years this | winter | will last? ##  [s06e10, 2675]            white raven. | Winter | is here. ##  [s06e10, 4427]                is over. | Winter | has come. ##   "Summoned"  "to"        "court"     "to"        "answer"
##   "for"       "the"       "crimes"    "of"        "your"
##  "bannerman" "Gregor"    "Clegane"   "the"       "Mountain"
See, we didn’t have to worry about the backslash after all. Sad times. One quick note - we removed stopwords using the SMART dictionary that comes with quanteda. We could also use stopwords("english") and several other languages. SMART differs from English somewhat, however both are arbitrary by design. You can call stopwords("dictionary_name") to see what they contain; these words will be ignored. Sometimes, you might want to tweak the dictionary if they happen to include words that you rather keep. Khaleesi dominates the first season (~80%), and it is her most one-sided title usage of any season. In S2, she gets the moniker of ‘mother of dragons’ in addition to khaleesi (25% and 55%, respectively). Seasons 3 and 4 are the most balanced, when she was known as khaleesi and mhysa somewhat equally (~35% both). In the last two seasons (in our dataset, at least), she is most commonly (>40%) called/mentioned by her actual name. This particular exercise would have definitely benefited from S7 scripts. You can refer to the titles object to see the raw counts rather than column percentages by row. Finally, one last thing before we move on to the visualisations. We will model topic similarities and call it a package.2 We’ll need topicmodels, and might as well write another for-loop (double-trouble). The below code is not evaluated here, but if you do, you’ll find that GoT consistently revolves around lords, kings, the realm, men, and fathers with the occasional khaleesi thrown in. Numbers and Greek letters are cool, however you’ll find that a well-made graph can convey a lot at a glance. 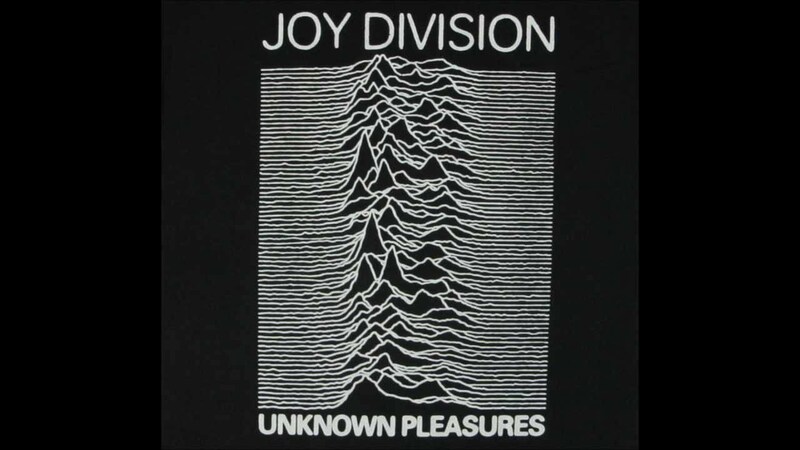 quanteda readily offers several statistics that lend themselves very well to Joy plots. When you call summary on a corpus, it reports descriptives on type, tokens, and sentences. These are all counts, and the difference between a type and a token is that the former provides a count of distinct tokens: (a, b, c, c) is four tokens but three types. Let’s recycle our corpus as a dataframe and clean it up. After that, we’ll get rid of the redundant first column, followed by renaming the contents of the season variable and make sure it’s a factor. Then, we’ll calculate the average length of a sentence by dividing token count by the sentence count. Finally, we shall gather the spread-out variables of type, tokens, and sentences into a single ‘term’ and store their counts under ‘frequency’. Usually one (i.e. who works with uncurated data) does the transformation the other way around; you spread a single variable into many to tidy it up - it’s good to utilise this lesser-used form from time to time. Also, we are doing all of this just to be able to use the facet_grid argument: you can manually plot four separate graphs and display them together but that’s not how we roll around here. Larger PDF version here. Some remarks. Each ridge represents a season and contains counts from ten episodes. These are distributions, so sharp peaks indicate clustering and multiple peaks/gradual changes signal diffusion. For example, in the first column (sentence length), we see that S1 has three peaks: some episodes cluster around 9, some at 10.5 and others at slightly less than 12. 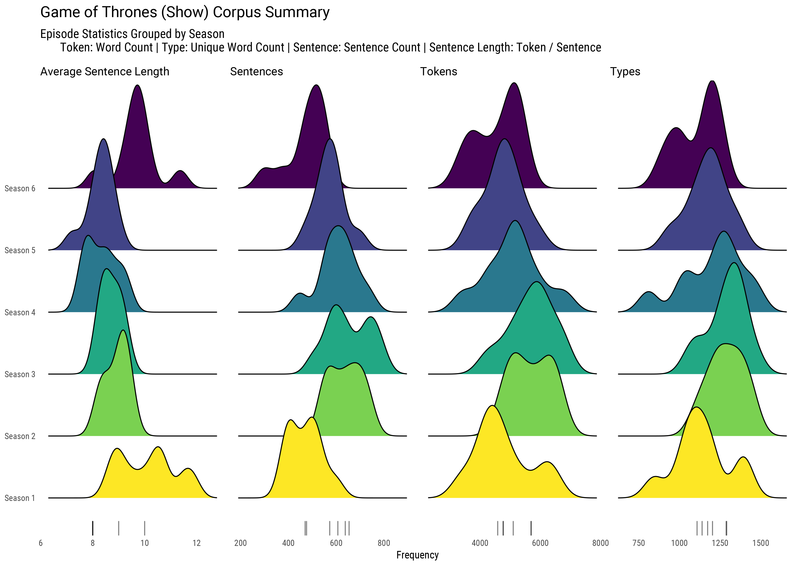 In contrast, S5 average sentence length is very specific: nearly all episodes have a mean of 9 tokens/sentence. Moving on to the second column, we find that the number of sentences in episodes rise from S1 to S3, and then gradually go down all the way to S1 levels by the end of S6. Token and type counts follow similar trends. In other words, if we flip the coordinates, we would see a single peak between S3 and S4: increasing counts of individual terms as you get closer to the peak from both directions (i.e. from S1 to S3 and from S6 to S4), but also shorter average sentence lengths. We should be cautious about making strong inferences, however - we don’t really have the means to account for the quality of writing. Longer sentences do not necessarily imply an increase in complexity, even coupled with higher numbers of type (unique words). In case you have seen cool ggridges plots before or generally are a not-so-easily-impressed (that counts as one token, by the way) type, let’s map Westeros in R. If you are also wondering why there is a shapefile for Westeros in the first place, that makes two of us. But don’t let these kinds of things stop you from doing data science. The zip file contains several shapefiles; I will only read in ‘political’ and ‘locations’. You will need these files (all of them sharing the same name, not just the .shp file) in your working directory so that you can call it with ".". The spatial data come as factors, and I made some arbitrary modifications to them (mostly for aesthetics). First, in the original file the Night’s Watch controls two regions: New Gift and Bran’s Gift. I removed one and renamed the other “The Wall”. Spatial data frames are S4 objects so you need to call @data$ instead of the regular $. Second, let’s identify the capitals of the regions and set a custom .png icon so that we can differentiate them on the map. At this point, I realised the shapefile does not have an entry for Casterly Rock - maybe they haven’t paid back the creator yet? We’ll have to do without it for now. Third, let’s manually add in some of the cool places by placing them in a vector called ‘interesting’. Conversely, we shall get rid of some so that they do not overlap with region names (‘intheway’). I’m using the %nin operator (not in) that comes with Hmisc, but there are other ways of doing it. Finally, using RColorBrewer I assigned a bunch of reds and blues - viridis looked a bit odd next to the colour of the sea. Download the map in hi-res. Woo! Okay, let’s go over what happened before wrapping this up. tmap operates similarly to ggplot grammar, so it should be understandable (relatively speaking). We are calling three shapefiles here: ‘westeros’ for the regions, ‘locations’ for the castles and manually added/subtracted places, and ‘holds’ for the capitals (which is really just a subset of locations). The tm parameters (fill, text, dots) under these shapes handle the actual plotting. For example, under westeros, we fill the regions by ‘ClaimedBy’, which would normally return the names of the Houses. However, that’s only the fill argument, and the text parameter in the next line calls ‘name’, which is the name of the regions (and what gets plotted). You can download GoT fonts for added ambiance. We pass our custom castle shape by calling shape = castle and remove the square borders around the .png with the border.lwd = NA. Finally, the ymod argument helps us avoid overlapping labels by slightly moving them up in the y-axis. Feel free to fork the code for this post on GitHub and mess around! Idea: calculate term frequencies of location names using quanteda first and then pass them using tm_bubbles with the argument size = frequency so that it gives you a visual representation of their relative importance in the show.